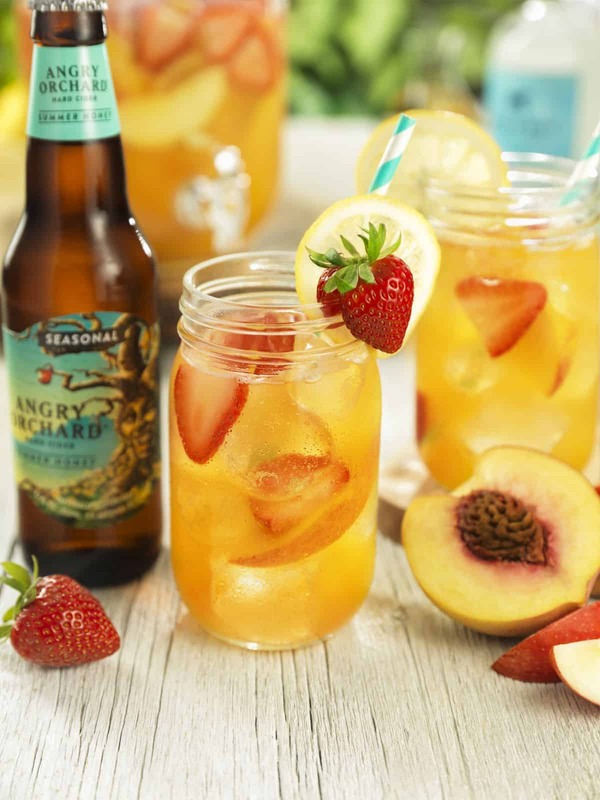 Build ingredients in a large punch bowl and top with Angry Orchard Summer Honey. Garnish with lemon wheels, strawberry slices and peach slices. Enjoy!